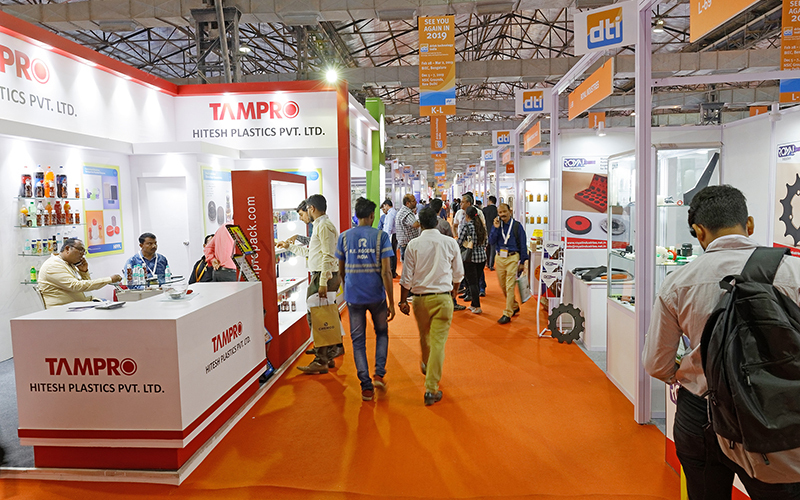 Together with indiapack pacprocess and food pex India, 343 exhibitors presented themselves on an area of around 16,500 square meters from October 24 through 26. The success of the most important event for India’s beverage industry remains unchecked: The trade fair alliance consisting of drink technology India (dti), organized by Messe Muenchen, and indiapack pacprocess and food pex India, organized by Messe Duesseldorf, recorded higher numbers of exhibitors and occupied more exhibition space. The number of visitors remained at a very high level as well. The fair’s further growth reflects the dynamic development of the Indian beverage and liquid food market, in which high growth rates are again forecast to climb. drink technology India is staged in conjunction with indiapack pacprocess and food pex India of Messe Du?sseldorf. This combination of four trade fairs covers the topics of drink technology, dairy and liquid food together with those of the related packaging industry (drink technology India), packaging and related processes (pacprocess India), packaging materials and aids as well as machines and technology for the production of packaging materials and aids (indiapack) and also food and confectionery processing and packaging (food pex India) all under one roof and is unrivaled in the region. The next dti in Mumbai will be held from December 9 to 11, 2020. In 2019, dti will be held in Bengaluru for the first time. It is scheduled for February 28 to March 2. As part of the trade fair alliance, the event will also be held next year once again – from December 5 to 7 in New Delhi.